One of the most striking phenomena of China’s remarkable economic growth is that its huge volume of exports are becoming high-tech. China is now the world's largest Information and Communication Technology (ICT) exporter, having overtaken Japan and the European Union in 2003 and the United States in 2004. China's ICT industry is also the largest manufacturing sector within the Chinese economy. This book examines how China has attained this leading position and presents one of the first accounts of China’s ICT development model with specific reference to the experiences of East Asian 'tigers'. 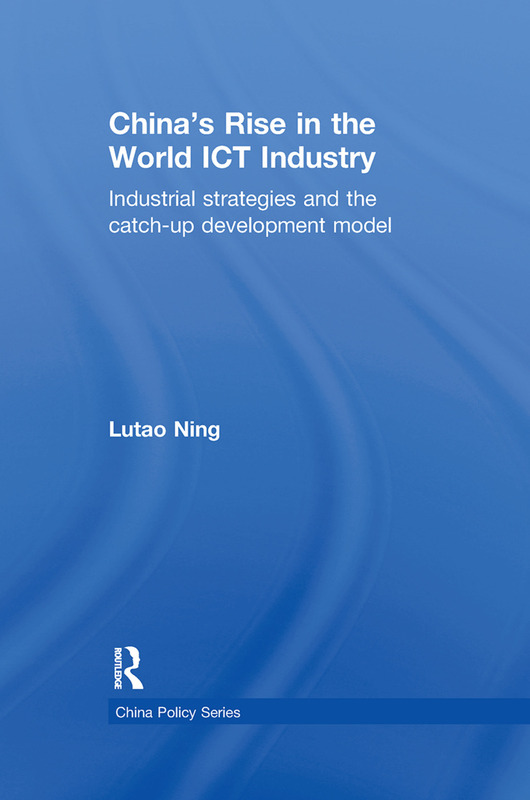 It shows how the development of the industry was military-driven before 1978, and how subsequently Chinese policymakers, struggling with domestic market reform and challenged by trade liberalisation and globalisation, managed to push through ICT development strategies. Overall, it discusses the debates between policymakers as to the most appropriate economic development strategy for 'catching-up' and demonstrates how China moved away from the across-the-board protectionist and interventionist industrial policies pursued by many developing countries, but has not wholeheartedly followed the neo-liberal free trade and market polices favoured by the World Bank, WTO and IMF. By doing so, it sheds light on the limitations of China’s strategies moving forward, and identifies policy lessons for other developing countries.